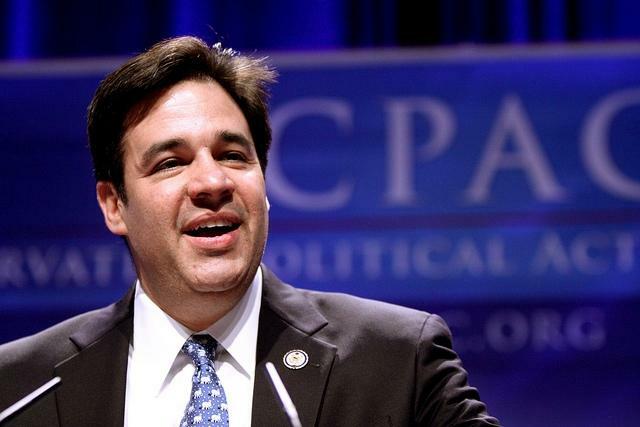 Rep. Raul Labrador answers a question during his April 19 town hall in Meridian. About 1,000 people attended the event. 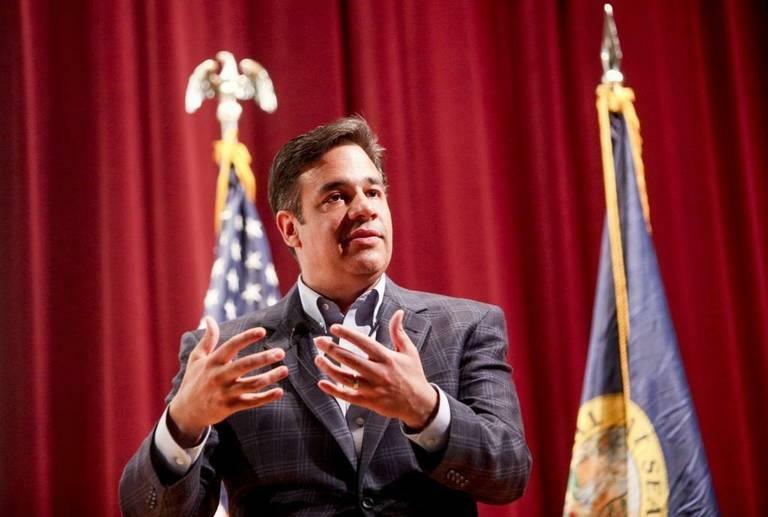 A combative and sometimes angry crowd challenged Republican Rep. Raul Labrador during his town hall Wednesday night. Labrador answered questions about everything from Planned Parenthood to public lands. At one point, he was asked whether he believes health care is a human right, to which the crowd responded with loud boos. This was the first town hall by a member of Idaho’s congressional delegation since the 2016 elections. About 1,000 people attended the event in a Meridian school auditorium, many of them vocal opponents to the congressman's policies. Labrador is a founding member of the Freedom Caucus and has been criticized by President Donald Trump for not supporting his party’s replacement to Obamacare and for contributing to its failure. But despite repeated questions from the crowd about the extent of Russian interference in the election and over the president’s decision to not release his tax returns, Labrador declined to distance himself too far from Trump. He did agree with an audience member who questioned the cost of Trump's frequent Mar-A-Lago trips and transparency. The town hall was supposed to go for an hour and a half – the congressman took questions for more than three hours. 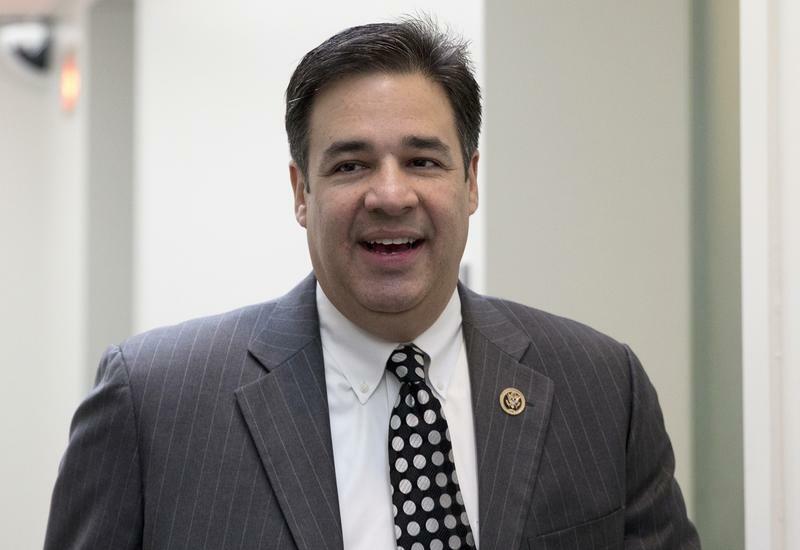 The next one will be held at Mission Aviation Fellowship in Nampa on April 24; it also starts in the evening at 6:30 p.m.
U.S. Representative Raul Labrador spoke to the Idaho House Wednesday about President Donald Trump. The First District Republican gave a fifteen minute speech to members of Idaho’s House of Representatives. Labrador said he was concerned at the reaction to President Trump’s actions. Labrador said people are acting like Trump’s actions are unusual or illegitimate, when he’s just doing the things he said he would while campaigning.